Subscribe up to receive our FREE e-newsletter for great natural skincare news, a chance to win prizes, tips on natural babycare and much more! To purchase products please click on the Add To Cart buttons below, select quantity required on the secure shopping cart page. Click the Continue Shopping button on the shopping cart page if you want to return here to order other items. Pure certified organic jojoba and rosehip oils moisturise Baby’s delicate skin without drying. Certified gmo free natural vitamin e works to soothe any irritation the natural way. Completely sulphate and tallow free, this pure and gentle Baby Bar is ideal for older children and the entire family. 99% CERTIFIED ORGANIC oils including jojoba and sunflower oil which is high in natural vitamins E and F making this an ideal choice for infantile skin problems. With added certified organic lavender essential oil, this product is the perfect baby massage or bath oil for sensitive skin. Pure lavender floral water with certified organic chamomile and French lavender essential oils. A beautiful spray formulated to minimise airborne odours and soothe Baby before sleep. Great as an on-the-go nappy change spray, a refreshing treat to calm mums during labour and perfect as a ‘bug-off’ spray for kinder and school hair to help keep nits at bay. A beautiful all-in-one product designed to gently care for the hair, scalp and body with ease. Sulphate free and skin-friendly, this product contains French lavender essential oil to soothe dry skin and contains pure rosehip oil to nourish and repair – both certified organic. Soap Free. 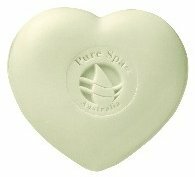 A purified, super-soft natural bathing sponge ideal for washing Baby’s face and body. Our pure and natural cornstarch powder has added certified organic Roman Chamomile, well-known for its anti-inflammatory benefits. Use after every nappy change to soothe any irritations and aid in the prevention of nappy rash. This beautiful, all-natural Powder works by absorbing excess moisture around Baby’s nappy area, keeping the skin dry and free from wetness. A rich, soothing cream suitable for even the most sensitive skin. Use this natural cream to soothe and care for Baby’s dry or irritated skin patches. Apply to the affected area 2-3 times daily or as required. With added zinc, this cream doubles as a natural healing solution including for nappy care. Simply wipe the nappy area first with Pure Spa Moisture Lotion or Relaxing Nursery Spray and then apply Soothing Care Cream. To help minimise further wetness and irritation, we recommend you also apply Pure Spa Cornstarch Powder to the nappy area. To minimise dryness use Pure Spa Moisture Lotion daily. The pure, certified organic oils including avocado, jojoba and rosehip will gently care for sensitive skin. Apply daily and after bathing or as required. Also ideal for older children and adults with dry skin or allergies to mineral oil, artificial fragrance or synthetic ingredients. All natural baby skincare products including organic-rich Shampoo & Body Wash to help relax baby before sleep time. Enriched with certified organic lavender, these perfect baby products will be sure to delight any parent looking for a natural alternative. All packaged in a beautiful tulle gift bag with FREE $5 Gift Voucher. This gorgeous pack includes a range of natural & organic products for baby's essential care and is packaged in a beautiful, crystal detailed, organza carry bag which comes to you absolutely FREE! Massage your precious baby with love and pamper them with beautiful, natural babycare - a perfect gift for new parents or a little luxury for your own baby. This beautiful pack includes an easy-to-follow baby massage book with the foreword written by Melbourne baby skincare guru, Catherine Arfi. Also included are a divine matching baby wrap & hoodie in pure cotton and a selection of our favourite Pure Spa Baby products. All packaged in a beautiful large crystal detailed, organza carry bag which comes to you absolutely FREE!